G.O.MS.No.15, Dated: 05-03-2018. Upgradation of 26 KGBVs as Junior Colleges by starting Intermediate Course with M.P.C, Bi.P.C, M.E.C and C.E.C groups @ 40 Students each. SE Dept., - SSA – KGBV- Upgradation of 26 KGBVs as Junior Colleges by starting Intermediate Course with M.P.C, Bi.P.C, M.E.C and C.E.C groups @ 40 Students each – Permission accorded- Errata – Issued. 1. G.O.Ms.No.12, School Education (Prog.II) Dept., dt.6.2.2018. In the circumstances reported by the State Project Director, Sarva Shiksha Abhiyan, A.P in the reference 2nd cited, Government hereby issue the following errata to the Annexure of G.O.Ms.No.12, School Education (Prog.II) Department, dt.6.2.2018. 2. 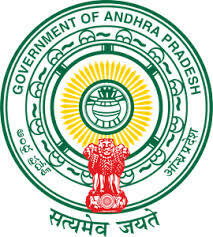 The State Project Director, Sarva Shiksha Abhiyan, A.P shall take further necessary action accordingly in the matter.